Ensure optimal print quality. Keeps your printer up and running. Reliable and affordable. 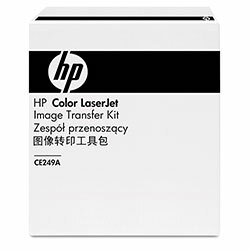 Device Types: Laser Printer; Supply Type: Transfer Kit; OEM/Compatible: OEM; Remanufactured: No. Transfer Kits, Rollers, and Belts from HP! 158 In Stock today.